Current NTU philosophy undergraduates Yuka Kamamoto and Zulhaqem Zulkifli sat down with Dr. Bryan W. Van Norden, who is the Kwan Im Thong Hood Cho Temple Professor at Yale-NUS College. In his most recent work, Taking Back Philosophy: A Multicultural Manifesto (2017), he makes a passionate call for American colleges to adopt a multicultural approach to philosophy. In this interview, he shares various ways in which Asian philosophy can further enrich and contribute to Western philosophical inquiry. Zul: Thank you so much for agreeing to be part of our interview with Nanyang Philosophy Review. So we were wondering firstly, what motivated you to study and eventually work in Chinese philosophy? I’m pretty sure Mandarin is not your first language so perhaps we can start from there? Van Norden: Sure. I’m part of the generation in the United States that got especially interested in China after Mao Zedong passed away in 1976. China opened up more to the West and there was a push for U.S. students to study China and learn more about China. To be honest, one of the things that made me receptive to that was the martial arts craze in the United States, following the success of Bruce Lee’s film Enter the Dragon, which had brought knowledge of Chinese martial arts to an international audience. Since Bruce Lee studied Chinese philosophy, it also encouraged people to learn more about Chinese thought. So that was one factor. Then when I was in high school, the United States government reinstituted registration for the draft, and we started to talk about whether or not we had an obligation to serve in the military if we were drafted. I became interested in political philosophy as I tried to understand the obligations of the individual to the state. So when I went to college, I decided to take courses in philosophy because of my growing interest in ethics and political philosophy. The only courses in philosophy offered were Western philosophy, but I also decided to take courses in Chinese language because of my interest in Chinese culture. After a while, I became interested in the possibility of combining the study of philosophy with the study of China. Honestly, I was discouraged by both my professors in philosophy who told me there was no such thing as Chinese philosophy, and by my professors who studied China who told me that philosophy was not a serious academic subject. Because I’m a little bit of a contrary person, I decided to prove them wrong by getting a PhD in Chinese philosophy. At that time I naively thought it would be very easy to get a job teaching Chinese philosophy, because I realised there were very few people who were teaching that in the United States. I thought that as soon as people realised how interesting Chinese philosophy was, they would immediately want to learn more about it and hire people who could teach it. But what I discovered when I got my degree was that there is a lot of resistance in the U.S. philosophical community to the existence of Chinese philosophy, so it’s actually very hard to get a position teaching Chinese philosophy. To this day they keep denying that there is any such thing as Chinese philosophy. Zul: It sounds like you went through quite a journey. Were you trying to prove your professors wrong? Van Norden: I kind of was, yeah. I wanted to show they were wrong by showing them that you could study Chinese philosophy and that it was serious. I started to read books about it as an undergraduate even though I didn’t have any professors who could teach me about Chinese philosophy. But there were so few good books on Chinese philosophy at that time. It was very hard to learn anything on your own. And part of what I tried to do as a professor is to produce textbooks that would makes it easier for students to learn about Chinese philosophy and make it easier for faculty to teach Chinese philosophy if they’re interested in it. Yuka: So you mentioned that in the U.S. they don’t really teach Chinese philosophy. How do you think that Chinese philosophy—and maybe the other Less Commonly Taught Philosophies (LCTP)—how could they contribute to Western philosophy, or philosophy in general? Van Norden: I think there’s several ways that Chinese, Indian, and other of the Less Commonly Taught Philosophies can make a significant contribution. One topic that I find especially interesting in Chinese philosophy is how we can become better people. A lot of the arguments within Confucianism are over different strategies for cultivating morality. There’s a Western philosopher Alasdair MacIntyre who’s been very influential in reviving interest in Aristotelian ethics. One of the points he makes is that with the rise of the modern era in the West, people became convinced that there is no explanatory power in talking about things in terms of the potentiality they have, which can then become an actuality. In the natural sciences, this was probably beneficial because people developed a framework for doing science that ignored the early Aristotelian physics, which was organised around potentiality and actuality. But in ethics, the result of eliminating the potentiality-actuality split was disastrous, because it meant that people started to think of human beings as not having any ethical potential which could be developed. So we just started to look at people as they are, without considering how we could transform them ethically. The Confucian tradition, in contrast, takes it for granted that people can be transformed ethically. So, I think, Western philosophy could learn a lot by studying the different theories of ethical cultivation that are offered within the Confucian tradition. In addition, philosophers in the West have focused on what is sometimes called ‘knowing-that’. So another influential Western philosopher, Gilbert Ryle, marked a distinction between ‘knowing-how’ and ‘knowing-that’. I know that Albany is the capital of the state of New York, but I know how to ride a bike. As Ryle pointed out, most of Western philosophy focuses on ‘knowing-that’, whereas in Daoism, in particular, there’s a real emphasis on the importance of ‘knowing-how’. So we get an image of someone like the butcher in Zhuangzi, who carves up an ox skilfully, as a paradigm of somebody who’s living well. And the butcher doesn’t know that such-and-such is the structure of the ox. He just knows how to carve up the ox. So it invites us to think through the possibility that certain kinds of ‘knowing-how’ might be more important than actually ‘knowing-that’. So that’s a way that Daoism can contribute. 庄树鸿 (Zhuang Shu Hong). Cook Ding carves up an ox, 2007. Buddhism, I think, is especially interesting because it challenges the dogma that’s become central to Western thought that reality must be composed of fundamentally distinct entities. Going all the way back at least as far as Aristotle, the assumption has been that reality is composed of entities that are metaphysically distinct and independent. Philosophers have recognised that there are a lot of problems trying to make sense of this notion, but they nonetheless tended for the most part to assume in the West that it had to be true. But Buddhism asks us to take seriously the possibility that there might not be fundamentally distinct entities, and then to consider the ethical implications if that’s true. So in place of the radically atomistic political philosophy that we get with, say, Thomas Hobbes or John Locke, we’re invited to consider a more communal approach to ethics, like we get in Confucianism. Similarly, the Buddhist ethics of compassion contrasts with the ethics of individual integrity that we get in Kantianism, which is very focused on independent individuals. Yuka: Other than ethics, are there any other areas of overlap between Chinese philosophy and Western philosophy? Van Norden: Yes, the more you study, the more interesting areas you find. So the metaphysics of Neo-Confucianism, daoxue, as outlined by philosophers like Zhu Xi and Wang Yangming, is interestingly different from any version of Western metaphysics. It presents an entirely new opportunity for Western philosophers to think about how they might understand the structure of the universe. Personally I find that a lot of debate in Western philosophy seem to be at a bit of a dead-end, where many philosophers are recycling arguments that have already been given or just formulating in new terms arguments that have been given before. So I think Western philosophy is in need of something to reinvigorate it, and introducing ideas from another tradition is a great way to do that. Another area of interest is that Western philosophers—going back, again, as far as Aristotle—have assumed that no contradictory statement could be true. But it turns out that there are many statements that appear to be contradictory but seem difficult to deny. Some of them are paradoxes in ordinary language like the Liar Paradox—“this statement is false”, which is true if it’s false, and is false if it’s true—whereas others are paradoxes in fundamental set theory. So, for example, if we try to construct a set that is composed of every set that does not have itself as a member, then if this set has itself as a member, then it doesn’t have itself as a member, but if it doesn’t have itself as a member, then it has itself as a member. So the Western response has been to try to block the possibility that these statements or these sets are well-formulated, but the efforts have always seemed ad hoc. Philosophers in Asia have been more willing to consider the possibility that there might be some contradictory statements that are actually true. Tiantai Buddhism, for example, is willing to consider the possibility that reality might be fundamentally contradictory. So that’s another area in which Asian philosophy can contribute to contemporary Western thought. Zul: Some time ago you gave a very rousing talk at NTU on multiculturalism in philosophy. So we’re wondering what were the obstacles that you faced in promoting this new revolution? Van Norden: Currently, I’m the Kwan Im Thong Hood Cho Temple Professor at Yale-NUS College. The person who occupied this chair previously was my friend and colleague Jay Garfield at Smith College. Jay and I were at a conference at the University of Pennsylvania in 2016, organised by the graduate students there, on multicultural philosophy. We were struck by the fact that members of the University of Pennsylvania faculty, for the most part, did not attend this conference, even though it was organised by their own graduate students and held at the University of Pennsylvania. So Jay said half-jokingly that any philosophy department that does not teach any philosophy outside the Anglo-European tradition should be labelled a ‘department of Anglo-European philosophy’ to be honest about the fact that they are parochial and narrow. I thought that was a really clever idea, and suggested we write an article about it. This resulted in an editorial that appeared in the New York Times, which got a huge response. Most of the responses were extremely negative, including a number from professional philosophers. The article received almost 800 comments on the New York Times website within less than 12 hours, and over thirty websites hosted discussions. Many professional philosophers were outraged by our essay, and several wrote editorials against it. This reflects the fact that, to this day, there’s very strong bias against philosophy outside the Anglo-European mainstream. And the surprising thing is that—well, perhaps not surprising but—the people who oppose philosophy outside the Anglo-European mainstream are not even familiar with this philosophy. They haven’t studied it, and they just assume without having studied it that it’s not real philosophy, or that it’s not high quality philosophy. And that’s what’s particularly frustrating, because if they engaged with it, they’d see that it’s very high quality philosophy, or at least there would be a genuine argument for not engaging with it. But that’s not what they do. They just judge it in ignorance. So that’s probably the biggest problem that we face. The good news is that younger people, both undergraduates, graduate students and some younger professors are increasingly open-minded on these topics. There are an increasing number of chapters of Minorities and Philosophy (MAP), a group devoted to both increasing representation of underrepresented groups in philosophy departments, but also including increasing representation in the canon of underrepresented thinkers. The chapters are all self-governing, but they share information, and invite speakers to campuses to give talks, and make people aware of opportunities. The conference at the University of Pennsylvania that Jay and I attended in 2016 was organized by students in MAP. I would encourage students in Singapore to form their own local chapters of MAP. So I’m increasingly optimistic that in the future things will change. But I think it will change because of pressure from students from the undergraduate level, and the transformation of the professoriate as younger, more open-minded people enter the profession. Zul: How can we make Chinese philosophy appealing to schools that conventionally teach Western philosophical thought? As you’ve mentioned, it’s all fine and well if the students themselves are enthusiastic, but if the department does not want to encourage this kind of learning or are averse to it, there’s going to be a big problem. So how could we make philosophy departments be more receptive? Van Norden: My view on this is a little controversial. As I said, I was a little naïve starting out, and I thought all I need to do is show people what, for example, Chinese philosophy is about, or similarly, an expert on Indian philosophy could show a department what Indian philosophy is about. And as long as they were minimally open-minded, they could see why it was interesting and why it was worth teaching. But the opposition to teaching the Less Commonly Taught Philosophies is so strong that people just don’t respond to evident arguments about the quality of philosophy outside of the Anglo-European mainstream. So whatever you say, they manage to find some excuse for not studying it. So I’ve come to believe that in the long run the only way to change things is by both transformation of the field by younger, more open-minded people coming in, but also political pressure from students. So the undergraduate students must keep pushing philosophy departments to teach philosophy outside the Anglo-European mainstream. This can go in gradually increasing levels of pressure from requesting courses on this area, or requesting that when a position is open in a department it be filled by somebody who can cover some of these areas. And then if that doesn’t work, students can sign petitions, asking the department and the administration to change their hiring practices, and if necessary students can protest to convince administrations and departments to change their attitudes. I’ve been told by colleagues in the United States that this is a very dangerous policy to pursue, because if philosophy departments have to change as a result of student pressure, the changes won’t be guided by the philosophy departments. They’ll be guided by political factors, and that may not lead to good philosophy. We don’t want hiring decisions to be in the hands of large-scale political movements. We want them to be in the hands of experts. That’s true, but that’s why I’ve told my colleagues for decades, you should make these changes now at your own speed and by your own choices instead of waiting to be forced to make these changes as a result of political movements. If you make them now, you can make them in an intelligent, gradual way. Whereas if you’re forced to make it as a result of student pressure, you won’t necessarily like the results, but that would be your fault because you waited until that point. Zul: This actually got me thinking: what if we did a syllabus change? So that any graduate student or PhD student has to not only be specialised in Western philosophy, but also take some philosophy courses that are non-Western in nature. Do you think that would solve the issue? Van Norden: I think that would be great, and I would support that. The difficulty is if you propose it to most—not just most—but almost every doctoral programme in the United States, the faculty will say ‘no’. They will simply say ‘no’, unless they are put under pressure by some external agency. So, for example, there was a job that became available at a good, mainstream department in the United States just recently, and they advertised in non-Western philosophy. But I have a little inside information about this job. And it turns out that the philosophy department was encouraged to hire someone in non-Western philosophy, and they were given an opportunity to do so. They interviewed several very strong candidates. And in the interview, they apparently asked each of the candidates, “Well, don’t you do anything besides Chinese philosophy?” In fact, the candidates did know areas in Western philosophy but their area of research specialization was Chinese philosophy. It’s not unusual if you’re a specialist in early modern Western philosophy. That’s what you do your research in and publish in. If you’re a specialist in philosophy of language, you publish in philosophy of language. But the faculty who are interviewing these candidates decided to not hire anybody. And their excuse for not hiring anybody was, “Well, all they can do is Chinese philosophy.” But that’s what you’re hiring them to do, so of course that’s what they specialize in. So they just use that as an excuse to turn down a position they were offered by their institution. Another philosophy department I know in the United States cross-listed courses in Chinese philosophy, but did it under external pressure. But when a graduate student in philosophy tried to incorporate work in Chinese philosophy into his dissertation, he was encouraged to transfer out of the programme because they said, “that’s not what we do in philosophy,” that kind of thing, even though they had cross-listed the courses. So this is the level of resistance that we’re fighting, which is why I say when change occurs, we’ll literally have to force the departments to change. Yuka: You do a lot of comparative philosophy, so I was just wondering, could it be that sometimes in Chinese philosophy, the questions that they ask are just so fundamentally different from the questions in Western philosophy that it’s hard to teach them side by side? Will that affect how we go about designing the curriculum, matching non-Western philosophies in conjunction with Western philosophy? Van Norden: It’s a good question. I think there is clearly enough overlap between Chinese philosophy and Indian philosophy and Anglo-European philosophy to recognise that they are interested in many of the same questions, and also use very similar methodologies to answer those questions. However, there are also some issues that are more specific to a particular tradition. So, for example, the issue of how we become a better person in the later Confucian tradition is often debated in terms of how you understand the Daxue (the Great Learning). The Great Learning is an enigmatic text, which you can interpret it in different ways. Later philosophers like Zhu Xi and Wang Yangming have a fundamental disagreement over how you get to be a better person, but the way in which they phrase that disagreement is in terms of different interpretations of this earlier text. So obviously you’re not going to have that way of framing the debate in the Western tradition, because the Great Learning isn’t a canonical text in the Western tradition. However, we spend a lot of time in a classic Western philosophy curriculum studying figures like Leibniz. When I was an undergraduate we had to study Leibniz. I don’t think there’s anything wrong with studying Leibniz. But on the other hand, there’s no particular reason you have to study Leibniz. I wouldn’t feel like someone had made a bad life choice if they hadn’t read any Leibniz. Figures come into and go out of the canon over time. Cicero used to be taken very seriously as a thinker in Western thought in general and in philosophy, whereas now, it’s almost impossible to find anybody who studies him in any philosophy departments. So I think we need to be open and flexible in thinking what the philosophical canon is and recognise that it has changed over time. And in a multicultural world, we’re thinking about whether we want to change the canon now. Another thing to keep in mind is that even if we just limited ourselves to Western philosophy, there’s so much you could study that you’re going to have to leave something out. So you’re always making a decision about what to include and what not to include. You do get this argument where people say, “Well, we can’t include Indian philosophy or we can’t include Chinese philosophy because we have to leave out something important.” But you’re always leaving out something important. No one is completely well-versed in all of Western philosophy. But if it’s okay to not know parts of Western philosophy, why isn’t it okay to learn about certain parts of Indian or Chinese philosophy in exchange for not knowing about certain parts of Western philosophy? Zul: So for the next question—this is more of a personal question—what are the top five books that you would recommend to aspiring philosophers, or alternatively, the top five books that you have been inspired by? Van Norden: Okay, so these are like general philosophical books, not necessarily specific to multicultural philosophy? It could be just in general? Van Norden: One of my favourite books that isn’t studied as often in Western philosophy, but I think it’s really fascinating is Augustine’s Confessions. I think that people mistakenly assume it will only be of interest to people who are studying the history of Christian thought. But whether you’re a secular thinker or not, there’s a lot of fascinating philosophy in Augustine’s Confessions, and it’s also just an extremely influential work in general Western intellectual history. So in a way it’s the first real autobiography in the West, and it’s the first sustained effort to apply Platonism to the interpretation of Christianity. One of my favourite parts of the Confessions: there’s a long discussion of time. (This is a nice illustration of that point that some things in a tradition can be very specific to that tradition but they can lead into an issue that is of general human interest, just like I was saying earlier the Great Learning is a canonical text in the Confucian tradition, but when Zhu Xi and Wang Yangming write about it, they’re writing about issues that are of broad human significance.) So Augustine is writing about the book of Genesis in the Bible, and he considers the issue of what God was doing before He created the universe. So phrasing the issue in this way would not occur to you unless you were part of this particular tradition. But that leads into a very interesting discussion of the nature of time, which is of broad philosophical significance. So Augustine’s Confessions is one book I often recommend to people as a very interesting philosophical work. Unsurprisingly, another of my favourite philosophical works is the Mengzi. It’s attributed to the Confucian thinker Mengzi, and it is both a great literary work and also presents a lot of fascinating philosophical arguments on human nature, on the virtues, on ethical cultivation, and on political philosophy. It’s just a fascinating work, overall. And it’s good to read in conjunction with the Zhuangzi because Zhuangzi is a master of so many genres from poetry to short stories, to brief philosophical essays. 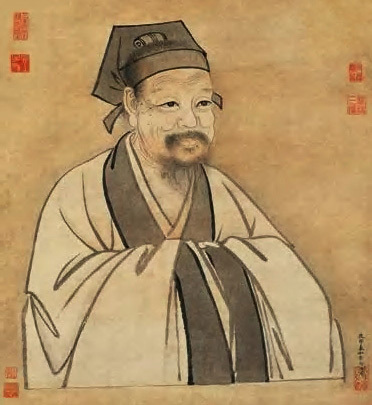 Although Mengzi’s name never occurs in the Zhuangzi, it’s clear that a lot of what Zhuangzi is saying is a subtle philosophical critique of the views of Mengzi. So that’s another book I enjoy. A book that I often recommend to my students is The Heart of Understanding by the Vietnamese Buddhish monk Thich Nhat Hanh. It’s a very brief book, and it’s a seemingly easy read. At one level it is simple, but there’s a lot of profound philosophical ideas in it that are explained in a very engaging and straightforward way. So I often use that when I’m trying to explain Buddhism, particularly Huayan, or Chan, or Zen Buddhism, to my students. One of my favourite works from the Indian tradition is the Bhagavad Gita, which is a philosophical poem. The narrative context is the beginning of the war in which a great warrior Arjuna is faced with a dilemma, because he has an obligation to fight for one side in the battle but he has friends and relatives fighting on the other side. So he can’t decide whether he should fight, which is his duty as a warrior, or he should refuse to fight in order to not kill his friends and relatives. He asks his charioteer for advice, but his charioteer turns out to be an incarnation of the god Krishna. And so they have a long philosophical dialogue on the nature of reality and virtue. There’s been different philosophical interpretations of the Gita but it’s a fascinating work however you ultimately interpret it. So I think those will be my five books. Zul: I’d never expect you to recommend the Bhagavad Gita because in Singapore its taken as a religious text. No one would ever think of doing it as a philosophical text. Van Norden: We actually teach it as a philosophical text here at Yale-NUS, and there’s an active tradition of different Indian philosophical schools writing commentaries on it, explaining its philosophical significance. So I think it’s like Augustine in a sense that –– he’s Saint Augustine –– he’s a religious thinker, but he’s a religious thinker that has written philosophically interesting work, and we can certainly classify the Bhagavad Gita as a Hindu religious work, but I think it’s also a philosophical work. Zul: Last question: do you have any advice for philosophy undergraduates? Van Norden: I guess some of the advice I’d give would be, don’t be afraid to approach your professors with questions or observations, because any good professor responds well to genuine enthusiasm, and a sincere enthusiasm about the topic is the best way to learn, and interacting with your professors is an excellent way to make the most out of your undergraduate education.